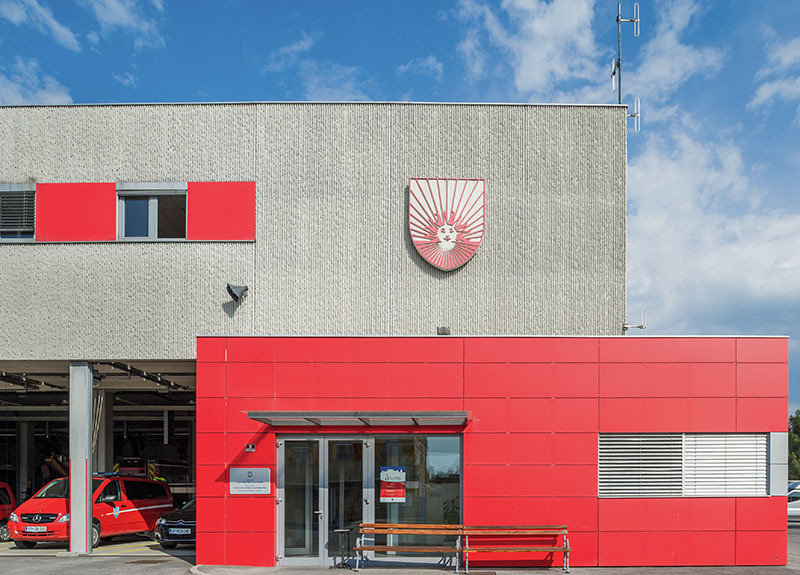 The old fire station in Koper could no longer cope with growingly demanding tasks carried out by the fire brigade on the Slovene littoral, so the local municipality decided to build a new one. The building is designed around two major spatial and functional elements: a tower and a garage. 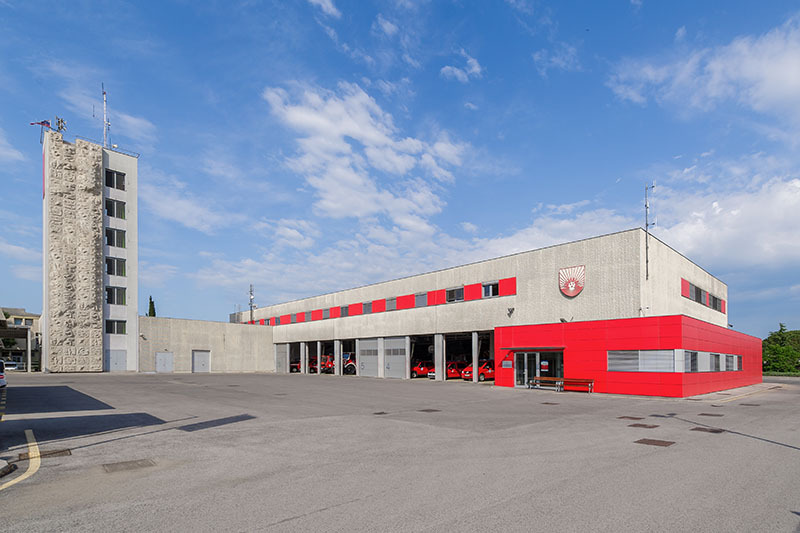 The garage with a dispatching centre is the central point of the building, while the tower is a full monolithic building which not only performs its primary function of a training facility but also represents a spatial vertical and a landmark at the arterial road. The building is conceived as a prefabricated construction from reinforced concrete. 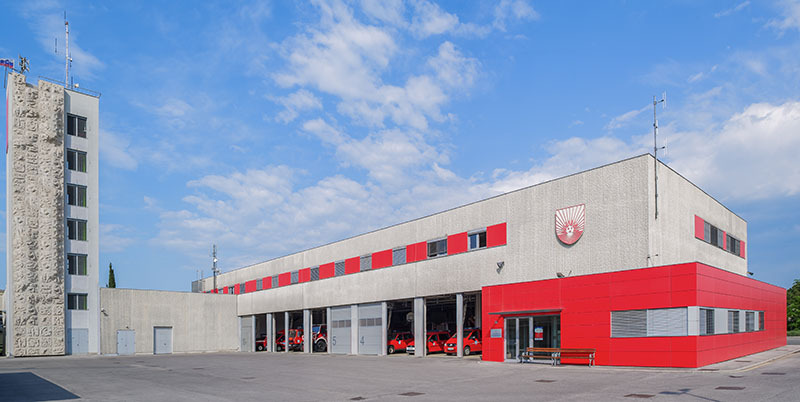 The main facility with garages in the ground floor is 10 m high, the ground floor facility is 6.90 m high, the tower has a height of 25.90 m. The façade of the building consists of prefabricated structured insulation panels from reinforced concrete that allow separation from the constructional part of the facility and formation of horizontal window stripes. Filling materials in horizontal stripes of the building are in the form of an insulation composite wall with an external ventilation layer made from acrylic polyurethane panels. The vertical structure of the external façade layers solves the problem of joints between façade panels and gives an impression of a monolithic façade.